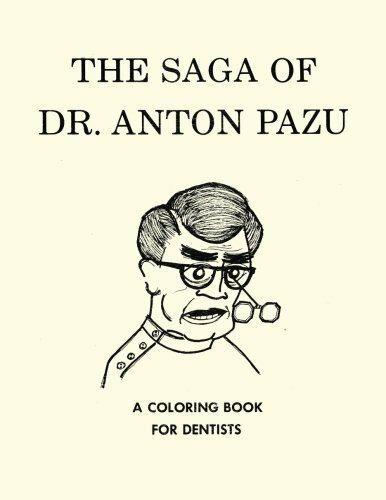 From the first golden era of adult coloring books comes The Saga of Dr. Anton Pazu. Created by a dentist for dentists, this is a satire of dentistry, with a look at the work, the tools, the office, and the lifestyle. This went through several printings in the 1960s, but has been out of print and unavailable for decades. 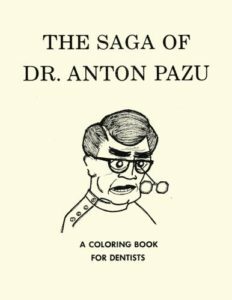 It was successful enough to have a sequel, 1969’s The Incredible Story of Dr. Anton Pazu and the Internal Revenue Service: Another Coloring Book for Dentists. 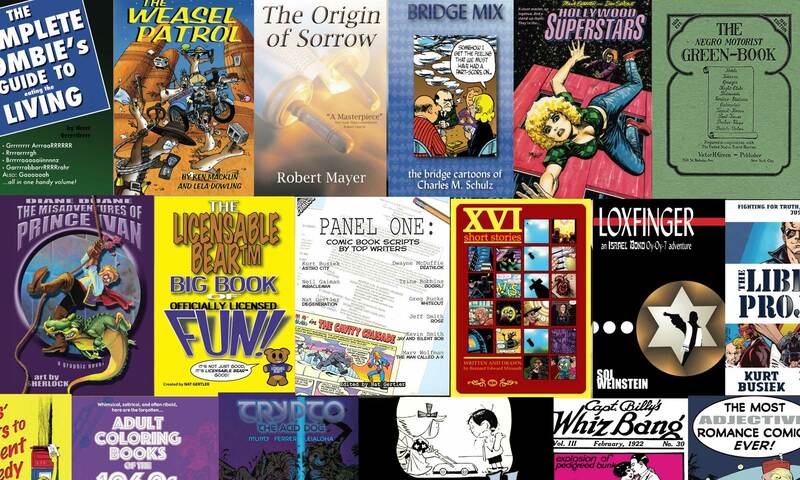 8.5″x11″, 36 pages, black and white paperback, list price $6.99. Order The Saga of Dr. Anton Pazu from Amazon.com!